TIn a modern environment we use a lot of power-sensitive equipment. At home our electrical equipment and appliances can damaged or even catch fire if there’s an electrical surge. Commercially, electrical damage can interrupt essential services and business operations. Although these surges can be caused by lightning, the new Regulations also include switching overvoltage. Although lightning is still a risk, it’s now recognised that electrical surges in the UK are most common near sites with large switching loads, such as wind farms and industrial areas. That’s why protection is now required for buildings providing hospital care, public services, cultural heritage, as well as for accommodation with multiple flats or apartments. For other installations a risk assessment must be carried out using a ‘calculated risk level’ (CRL) formula. To do this an installer will need to know about the final 1km of cabling, including the lengths of the high and low voltage cables overhead and underground. If the CRL is less than 1,000, surge protection will be required. 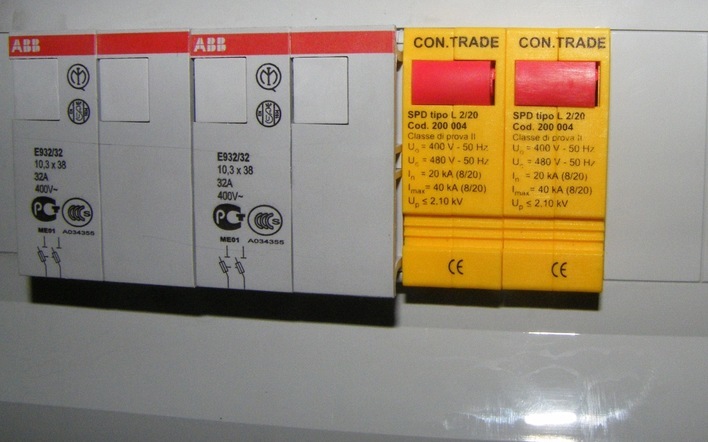 If a risk assessment isn’t completed, surge protection must be installed. In practice, surge protection is probably a good idea for all domestic installations.